Hey All! I am Sara. I am a fashionable girl with a trendy soul. I love my sister Sammie-k (Trendstar). I love DC...I own a shop named Stylize™. Enjoy your life...and stay healthy! Some random facts about me! -I am a proud Muslim. -I love to make new friends. Shoot me a PM/VM anytime! -I love shopping and travelling. Please do not message me for your CYO requests. If you want me to make some for you then the ways are through your forum request threads. I may stop there to may make you one. Managing requests is getting tough for me that's why please co-operate. 1. Was a guild moderator. 2. Am a clothing and design moderator. Apr 25 divakhan stock portfolio has earned them 15 style. Apr 18 divakhan stock portfolio has earned them 100 style. Apr 11 divakhan stock portfolio has earned them 25 style. Apr 04 divakhan stock portfolio has earned them 35 style. Mar 28 divakhan stock portfolio has earned them 130 style. Mar 21 divakhan stock portfolio has earned them 70 style. Mar 14 divakhan stock portfolio has earned them 155 style. Mar 07 divakhan stock portfolio has earned them 55 style. Feb 28 divakhan stock portfolio has earned them 50 style. Feb 21 divakhan stock portfolio has earned them 20 style. Feb 14 divakhan stock portfolio has earned them 75 style. 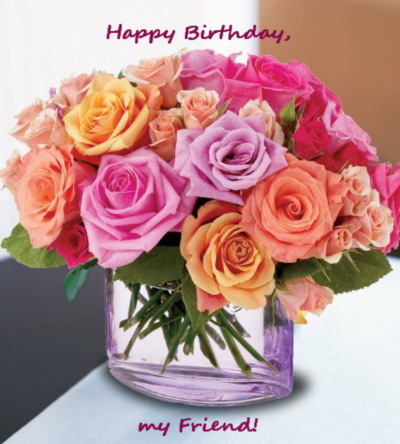 Feb 07 DIVAkhan has a birthday today. Feb 07 divakhan stock portfolio has earned them 50 style. Jan 31 divakhan stock portfolio has earned them 40 style. Jan 24 divakhan stock portfolio has earned them 55 style. Jan 17 divakhan stock portfolio has earned them 30 style. Jan 10 divakhan stock portfolio has earned them 20 style. Jan 03 divakhan stock portfolio has earned them 225 style. Dec 27 divakhan stock portfolio has earned them 55 style. Dec 20 divakhan stock portfolio has earned them 270 style. Dec 13 divakhan stock portfolio has earned them 265 style. Dec 06 divakhan stock portfolio has earned them 190 style. Nov 29 divakhan stock portfolio has earned them 40 style. Nov 22 divakhan stock portfolio has earned them 130 style. Nov 15 divakhan stock portfolio has earned them 80 style. Nov 08 divakhan stock portfolio has earned them 60 style. Nov 01 divakhan stock portfolio has earned them 45 style. Oct 25 divakhan stock portfolio has earned them 40 style. Oct 18 divakhan stock portfolio has earned them 65 style. Oct 11 divakhan stock portfolio has earned them 45 style. Oct 04 divakhan stock portfolio has earned them 165 style. Sep 27 divakhan stock portfolio has earned them 90 style. Sep 20 divakhan stock portfolio has earned them 40 style. Sep 13 divakhan stock portfolio has earned them 115 style. Sep 06 divakhan stock portfolio has earned them 60 style. Aug 30 divakhan stock portfolio has earned them 35 style. Aug 23 divakhan stock portfolio has earned them 80 style. Aug 16 divakhan stock portfolio has earned them 80 style. Aug 09 divakhan stock portfolio has earned them 545 style. Aug 02 divakhan stock portfolio has earned them 30 style. Jul 26 divakhan stock portfolio has earned them 80 style. Jul 19 divakhan stock portfolio has earned them 240 style. Jul 12 divakhan stock portfolio has earned them 125 style. Jul 05 divakhan stock portfolio has earned them 45 style. Jun 28 divakhan stock portfolio has earned them 145 style. Jun 21 divakhan stock portfolio has earned them 45 style. Jun 14 divakhan stock portfolio has earned them 15 style. Jun 07 divakhan stock portfolio has earned them 40 style. May 31 divakhan stock portfolio has earned them 55 style. May 24 divakhan stock portfolio has earned them 215 style. May 17 divakhan stock portfolio has earned them 45 style. May 10 divakhan stock portfolio has earned them 135 style. May 03 divakhan stock portfolio has earned them 45 style. Apr 26 divakhan stock portfolio has earned them 25 style. Apr 19 divakhan stock portfolio has earned them 25 style. Apr 12 divakhan stock portfolio has earned them 120 style. Apr 05 divakhan stock portfolio has earned them 30 style. Mar 29 divakhan stock portfolio has earned them 55 style. Mar 22 divakhan stock portfolio has earned them 85 style. Mar 15 divakhan stock portfolio has earned them 95 style. Mar 08 divakhan stock portfolio has earned them 70 style. Mar 01 divakhan stock portfolio has earned them 55 style. Feb 22 divakhan stock portfolio has earned them 80 style. Feb 15 divakhan stock portfolio has earned them 70 style. Feb 08 divakhan stock portfolio has earned them 25 style. Feb 01 divakhan stock portfolio has earned them 40 style. Jan 25 divakhan stock portfolio has earned them 25 style. Jan 18 divakhan stock portfolio has earned them 20 style. Jan 11 divakhan stock portfolio has earned them 65 style. Jan 04 divakhan stock portfolio has earned them 65 style. Dec 28 divakhan stock portfolio has earned them 65 style. Dec 21 divakhan stock portfolio has earned them 280 style. Dec 14 divakhan stock portfolio has earned them 360 style. Dec 07 divakhan stock portfolio has earned them 280 style. Nov 30 divakhan has updated their profile. Nov 30 divakhan stock portfolio has earned them 70 style. Nov 23 divakhan stock portfolio has earned them 125 style. Nov 16 divakhan stock portfolio has earned them 100 style. Nov 09 divakhan stock portfolio has earned them 95 style. Nov 02 divakhan stock portfolio has earned them 140 style. Oct 26 divakhan stock portfolio has earned them 90 style. Oct 19 divakhan stock portfolio has earned them 220 style. Oct 12 divakhan stock portfolio has earned them 125 style. Oct 05 divakhan stock portfolio has earned them 100 style. Sep 28 divakhan stock portfolio has earned them 20 style. Sep 21 divakhan stock portfolio has earned them 55 style. Sep 14 divakhan stock portfolio has earned them 50 style. Sep 07 divakhan stock portfolio has earned them 20 style. Aug 31 divakhan stock portfolio has earned them 180 style. Aug 24 divakhan stock portfolio has earned them 45 style. Aug 17 divakhan stock portfolio has earned them 50 style. Aug 10 divakhan stock portfolio has earned them 45 style. Aug 03 divakhan stock portfolio has earned them 80 style. Jul 27 divakhan stock portfolio has earned them 20 style. Jul 20 divakhan stock portfolio has earned them 80 style. Jul 13 divakhan stock portfolio has earned them 140 style. Jul 06 divakhan stock portfolio has earned them 70 style. Jun 29 divakhan stock portfolio has earned them 110 style. Jun 22 divakhan stock portfolio has earned them 120 style. May you have many more to come. And I hope that all your wishes come true and that you are having a wonderful day today. Happy Birthday Sara! Hope it's a joyful day! May you have many more to come here with us. I hope you come back soon to divachix. I miss you my sweet friend. Another happy birthday to you Sariana, 2018!! And may all your wishes come true my sweet friend. Happy Happy Birtrhday Sariana!!!!!!! :D :D Have a most woderful day!!! Happy birthday to my DC sista who I share the same birthday with. Have a great day hugsss!!! Happy Happy Birthday Sarianna!!! :D :D :D Miss you, hope you are doing well!! How are you my sweet friend? I rated your latest yet beautiful doll in your album. I also sent you a mail here on dc. Have a wonderful day my sweet friend. Happy Birthday! Wishing you a good one! WOW thanks so much for my holiday gift. Me and Jose broke up living at my grandpa's for now. No internet access. Think the break up is permanent. More Images @ MyNiceProfile.comThank you so much for the gift dearie!! Enjoy every minute of your week with joyful bliss! I rated your latest yet beautiful dolls in your album. Have a wonderful night my sweet friend.